Konami is joining with the rest of the modern world by deciding that maybe console exclusivity is not the way to go. Metal Gear Solid V: Ground Zeroes and The Phantom Pain have both been confirmed for release on the PC through Steam. Series creator Hideo Kojima made the announcement during Metal Gear Solid V's presentation at Gamescom 2014 shortly after Konami's European site leaked the reveal. As always, Kojima just had to make the announcement in some ridiculous fashion. Check out the video below to see how he did it this time. Metal Gear Solid has been a traditionally console focused franchise, more specifically a PlayStation focused one. However, this is not the first time the series has made the leap to PCs. 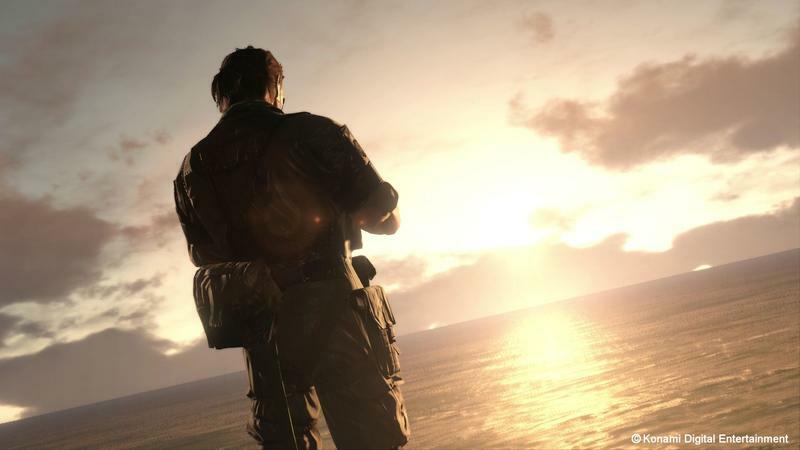 Metal Gear Solid and Metal Gear Solid 2: Sons of Liberty were both given substandard ports to Windows PC, and more recently, Metal Gear Rising: Revengeance was released on Steam with a port that shows how far Konami has come. No release date has been confirmed for either game, but chances are PC gamers will get to play Ground Zeroes before The Phantom Pain sees a release, being given the option to pay for a demo just like console gamers did. Even though I just picked up my PlayStation 4, I considered making the leap to PC gaming now that the next-gen consoles practically are just PCs anyway. A few Japanese exclusives were all that really held me back, and Metal Gear Solid V : The Phantom Pain was one of them. Consoles have lost that major foothold, and what else is left? Square Enix has mentioned it is looking into a PC port for Final Fantasy XV, so that's only a matter of time I think. Even Dragon Quest X has been ported to the PC, but long time series creator Yuji Horii is a stickler against PC and smartphone games, and he even said he is aiming for an old-school console feel with Dragon Quest XI. From there we have Bloodborne, which could likely get a port like Dark Souls, and The Last Guardian, if it ever comes out, and… nothing else confirmed after that. Maybe Sunset Overdrive if I ever pick up an Xbox One? Everything I play these days is handheld, retro, Nintendo, or indie, and almost all of those can be bought through the PC. The AAA games I am looking forward to are all clocked in for a PC release as well. Could I finally be allowed to evolve into a member of the master PC gaming race? Or does my undying love for Nintendo hold me back?